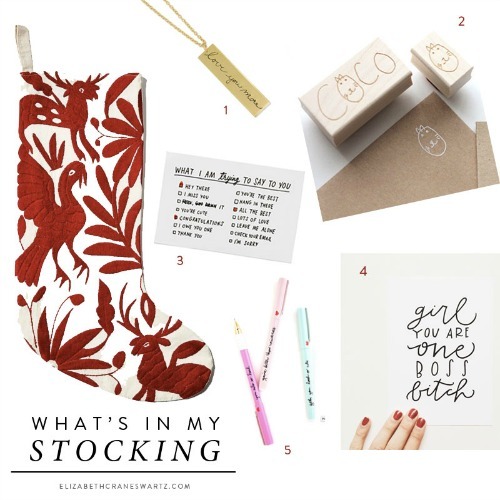 hey it's elizabeth, a hand painted jewelry designer, and I'm here with my 'handwritten' themed stocking and I'd love to fill this gorgeous hand embroidered cotton stocking with all kinds of snail mail and handwritten goodies. 1. like this customizable necklace with endless possibilities for sweet messages in your very own handwriting. 2. I'm trying to be better at sending more snail mail notes and these cheeky cards by artist adamjk make it easy to let someone know you're thinking of them. 3. how about a custom rubber stamp for dressing up your envelopes? 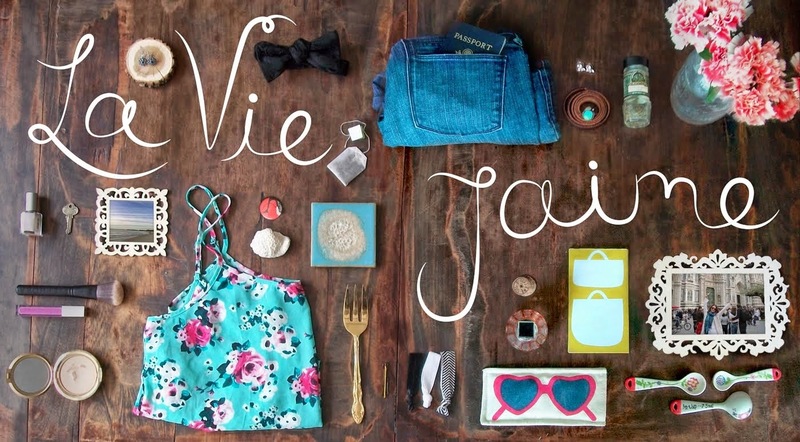 4. jolie ankrom of brim papery has a great selection of hand-lettered prints and gifts but this print is my favorite. 5. shop band.do has some colorful pens to make any handwritten task infinitely more fun. Thanks, Elizabeth! Check out her jewelry & blog and follow her on Facebook, Instagram, & Twitter.